SSC connectors are versatile utility clips ideal for a variety of stud-to-stud and stud-to-structure applications in cold-formed steel construction. 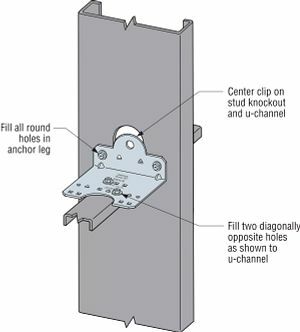 The clips have been designed to enable easy installation on the open side of studs or joists with flanges up to 3" long and return lips up to 3/4". A wide pattern of strategic fastener locations allows the SSC to accommodate a variety of traditional and custom designs. 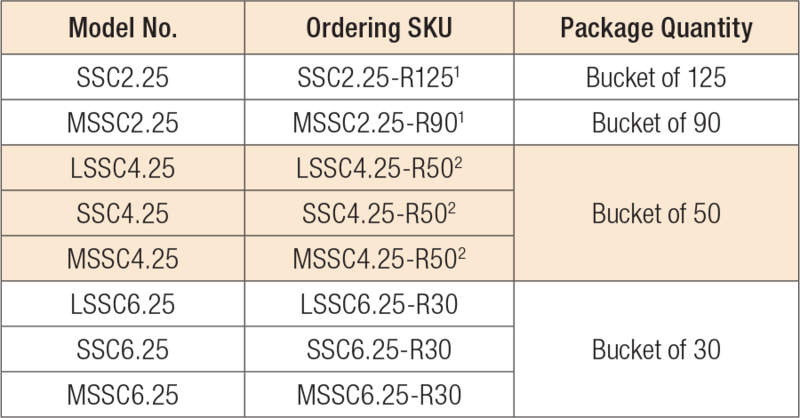 Submittal/substitution request for SSC steel stud connectors for cold-formed steel construction. By leaving off the "-RXXX" suffix, items can also be ordered in cartons of 50. By leaving off the "-RXX" suffix, items can be ordered in cartons of 25. LSSC See specific model numbers for code listings. MSSC See specific model numbers for code listings. SSC See specific model numbers for code listings.